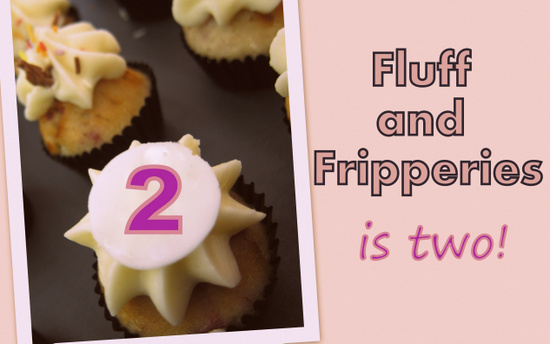 Fluff and Fripperies Is Two - But The Presents Are For You! October 5th is an important day around these parts. On that date in 2010, the first post went live on this little beauty blog. Two years and nearly 600 posts later, the site is going from strength to strength. And there has been so much to celebrate around here lately. 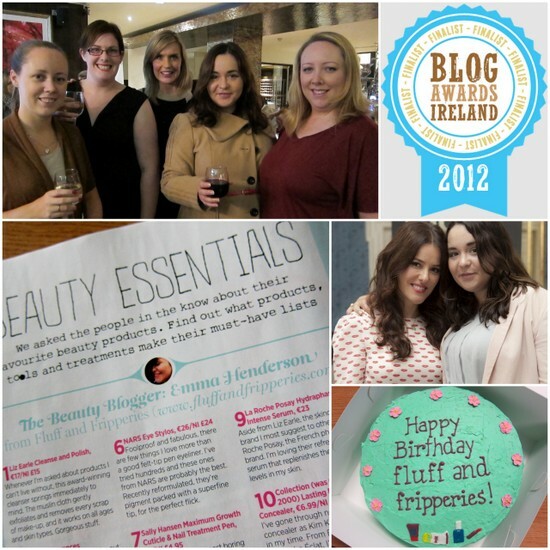 Fluff and Fripperies is a Blog Awards Ireland finalist (one of 7 in the fashion and beauty category, from a list of 96! ), has featured in one of my favourite Irish publications, U Magazine – check out this post for more – and recently passed 1000 followers on Google Friend Connect. I’ve also had the opportunity to write for one of my favourite Irish websites, Beaut.ie, since February, which I still pinch myself about on a regular basis. Along the way I’ve met some really amazing people- from Lisa Eldridge (!!! ), to all of the lovely likeminded bloggers, journalists and beauty PRs who are as equally bonkers about beauty and fashion as I am. And of course I’ve got to know so many of you lovely people, who take the time to visit and read and comment – I appreciate it more than you know. And obviously, I want to share the love. So throughout the month I’ve lined up a series of amazing giveaways, with prizes you won’t want to miss. From hair transformations to hampers full of makeup, skincare, hair products and more, there will thousands of euro worth of beauty booty up for grabs over the next few weeks. Thanks so much to all of the brands who are generously supporting the Fluff and Fripperies Birthday Bonanza – and thanks again to you, for reading. It means so much more than you know! Happy birthday F&F, hopes there is many more celebrations coming up for you. A very happy Blogoversary M'Lady, I can't believe it's been two years but then again I can't believe it's ONLY been two years. You deserve every bar of success for all of your hard work & talent, it's been an absolute pleasure getting to know you. congrats emma, your blog is amaze & deserves to be a finalist :) Happy happy blog birthday! wow! lots of exciting stuff going on! congratulations! Congratulations and Happy Blogiversary Emma! A very Happy Blog Birthday to you Emma! I have to say I always look forward to your posts, you are the first fellow Irish blogger I followed and have always come across as so genuine and passionate about what you write about. Hope you're enjoying this special day. You deserve all of the success that comes your way! Congrats on 2 great years!!!! Happy birthday and congratulations on your achievements. you deserve it!